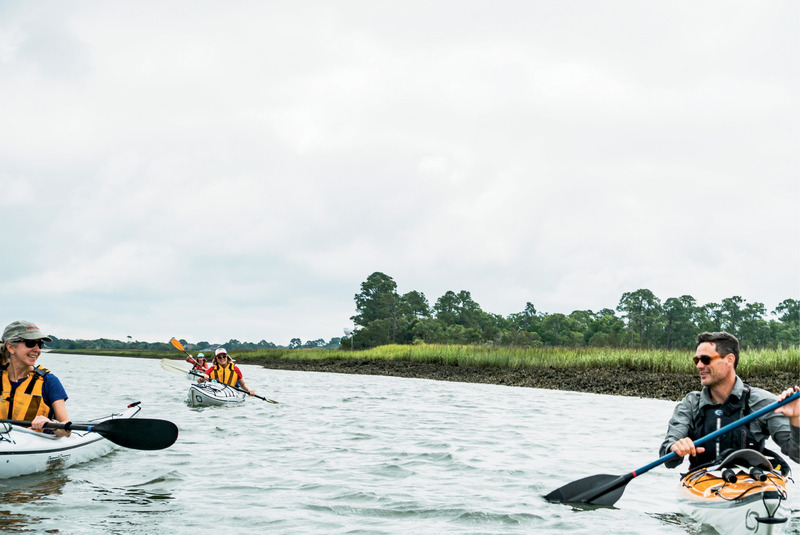 Kayak Farm guide-owner Eric Gibbons leads a group of paddlers through Fripp Inlet. 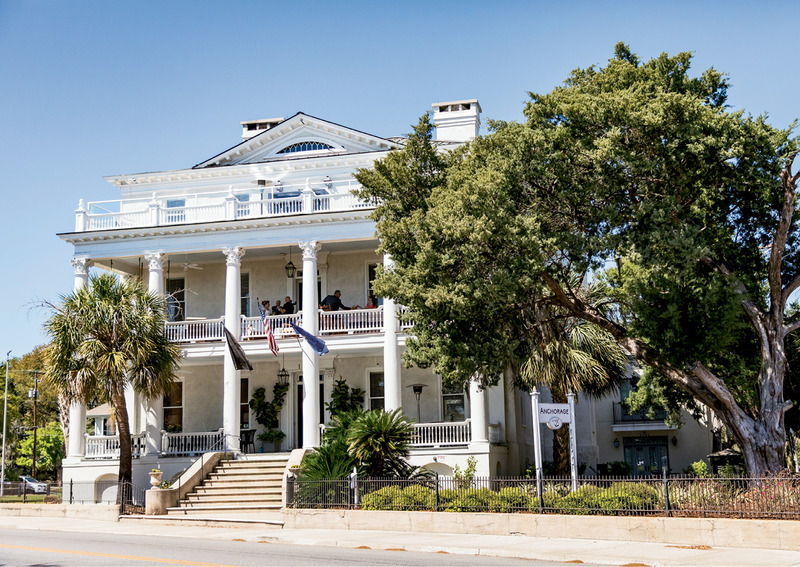 The Anchorage 1770, an 18th-century Greek Revival mansion turned into a 15-room inn in 2015, offers prime views of the bay—plus sweet breezes. 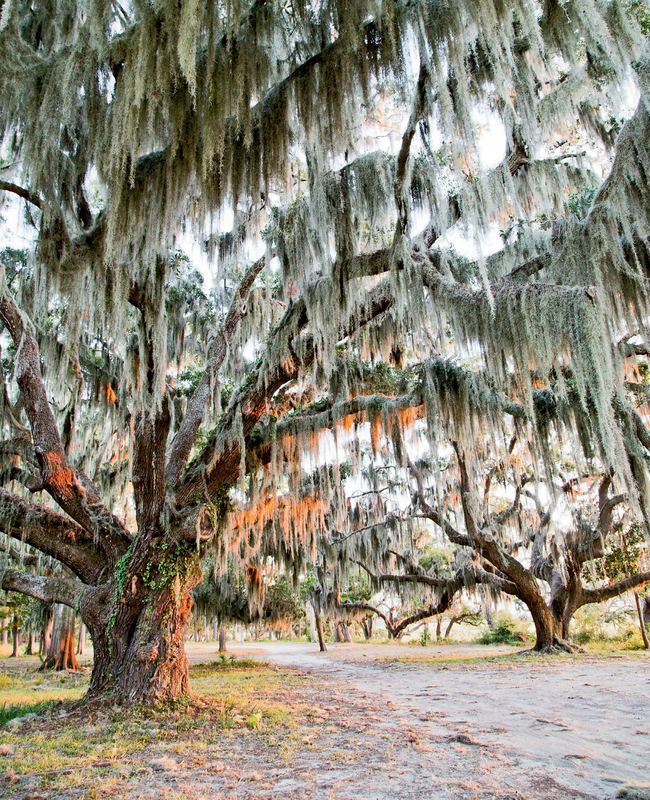 By the 1500s, Spain and France were staking claims along the Port Royal Sound, including the Spanish settlement of Santa Elena on present-day Parris Island. High bluffs and live oak trees are part of the scenery. 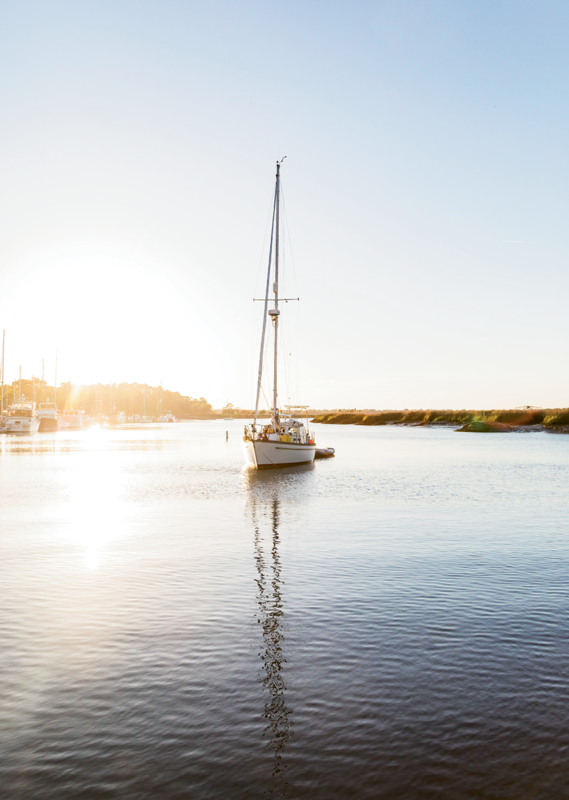 Beaufort’s harbor is on the Intracoastal Waterway, about 60 nautical miles from Charleston. 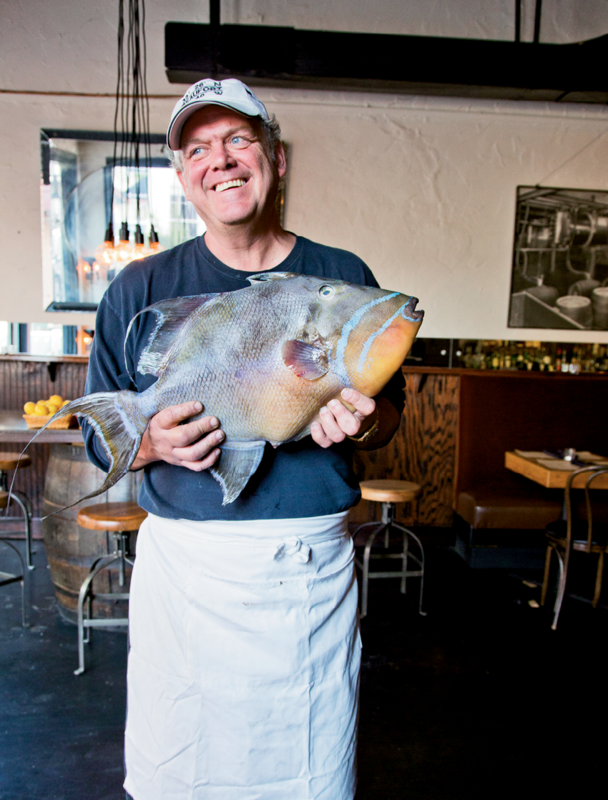 At his Old Bull Tavern in Beaufort, chef-owner John Marshall focuses on the local bounty, like this freshly caught queen triggerfish. 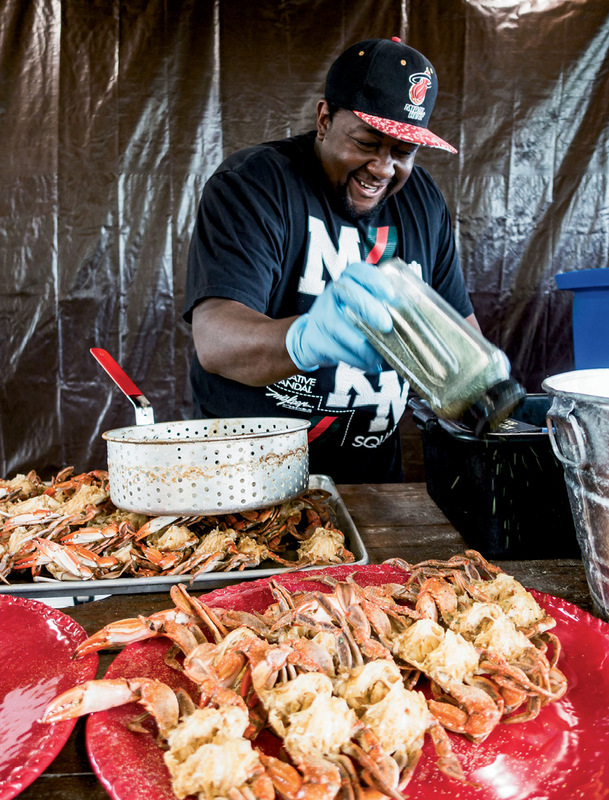 For a gathering at Lady’s Island Oyster Farm, Louis “Granny” Albany shakes spices onto local blue crabs. 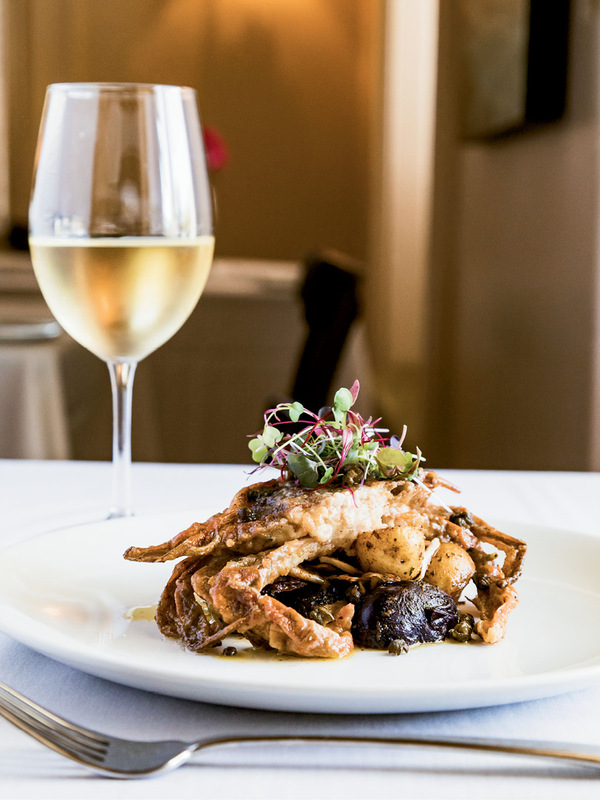 “Single Lady” oysters are served on the half-shell, along with crab and shrimp prepared in Albany’s spicy, garlic-crab style. “Spartina is the essence of the Lowcountry,” our guide says as he dips his kayak paddle back into the mud-tinted seawater of Fripp Inlet. Eric Gibbons has a slow cadence to his speech, like mid-tide, and reminds me somehow of a young Clint Eastwood. He’s been out here to paddle through so many tides it would be difficult to calculate a total since he opened the Kayak Farm on a corner of an old tomato farm on St. Helena Island back in 1999. I follow Gibbons’ gaze toward the oyster beds, marsh, and mudbanks. This year’s green spartina is growing up into last year’s brown, decaying stalks. There’s a striated beauty to the expanses of perennial marsh grass that Gibbons has so often observed. There’s ecological interest, too, he explains, because the decayed grass eventually ends up floating away as “wrack” in high tides, and it drifts off to build up on another beach or island—all the while creating habitat for oysters, clams, shrimp, and mullet. That’s it, I think: On this trip to Beaufort, as well as other visits here, I’ve been struck by the waterscape and the culture it fosters. 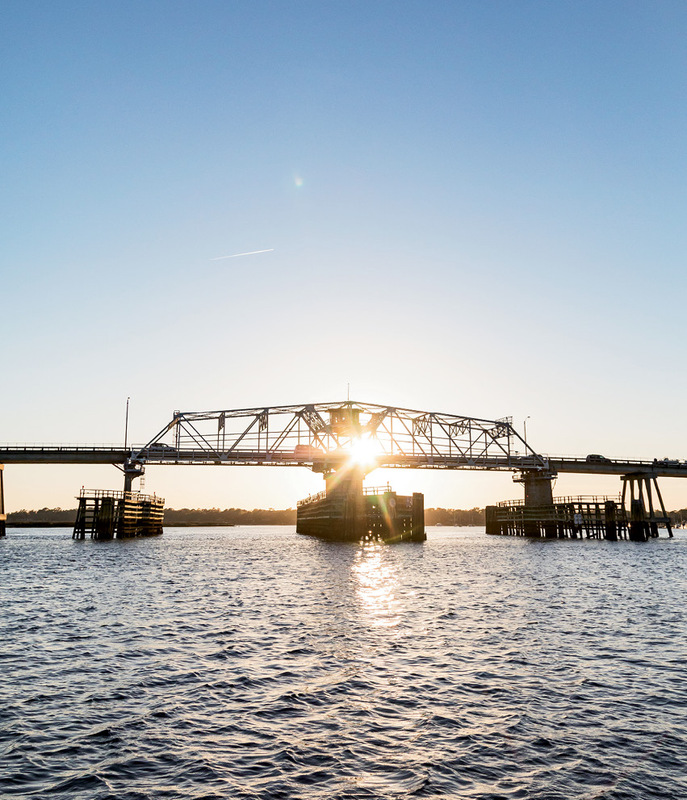 In Charleston, freshwater rivers mix with the saltwater of the harbor, but here, the source of the Beaufort River is the Atlantic Ocean itself. We paddle with about a dozen other boats along the Harbor River and the narrower Story River, and at some point, three dolphins swim among us. The whole group stops for a couple of hushed minutes, just to drift and watch for their slate gray fins and the arc of their bodies rising above the waterline. 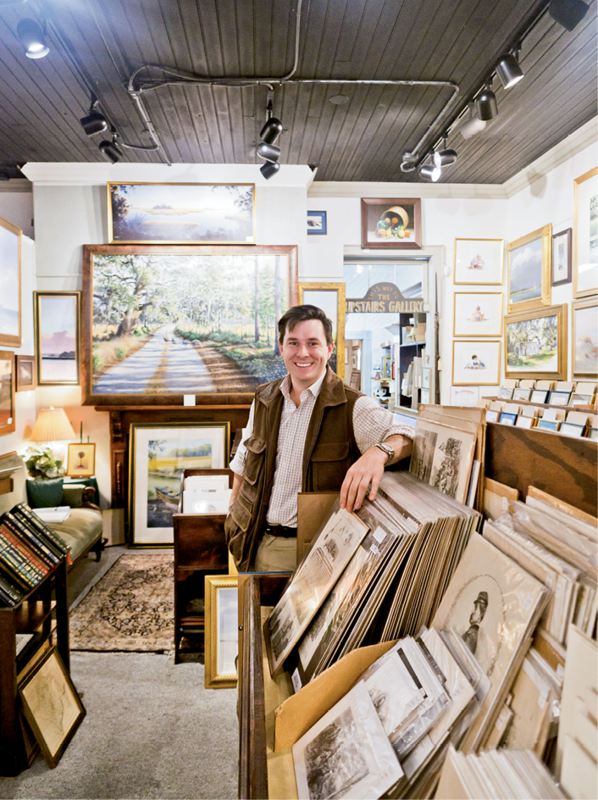 Around Beaufort, this kind of experience isn’t rare. 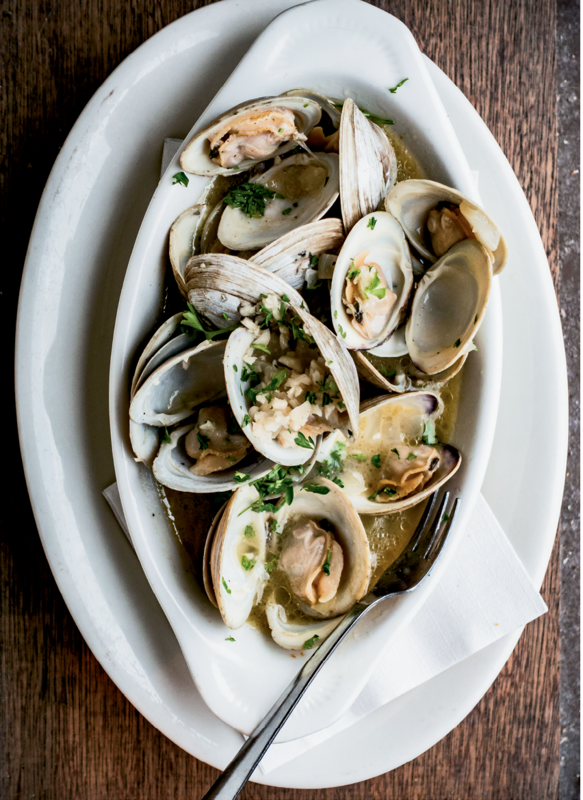 There’s abundant saltwater scenery and seafood on the table. Everyone seems to have a dock or a boat, or at least a terrific view of a creek, harbor, or sound nearby—often from a higher bluff than you’d expect. 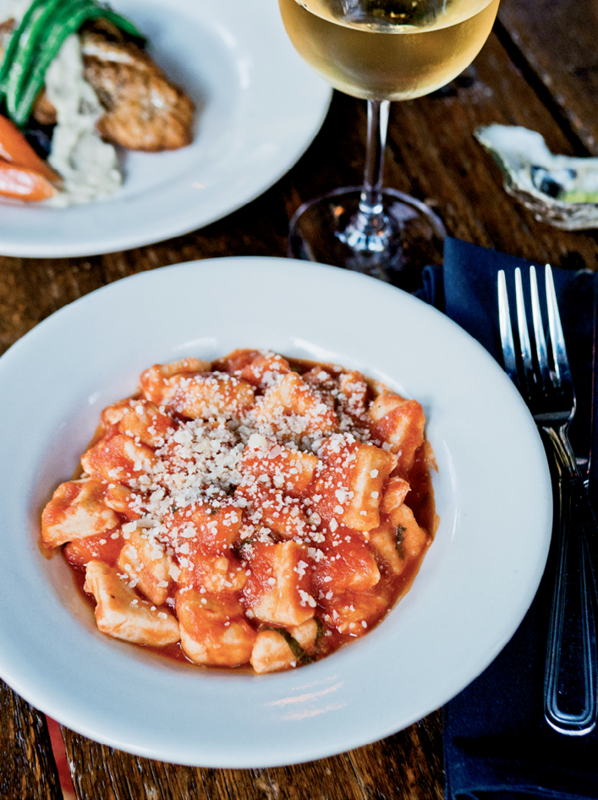 The breeze from the bay is persistent on the first-floor piazza at the Anchorage 1770 inn on Bay Street. Across the way, I can see people standing on paddleboards on the Beaufort River and sailboat masts at the Downtown Marina. In all directions along this part of the South Carolina coast are sea islands: St. Helena, Fripp, Dataw, Hunting, Lady’s, and Parris. And those are just the larger ones. 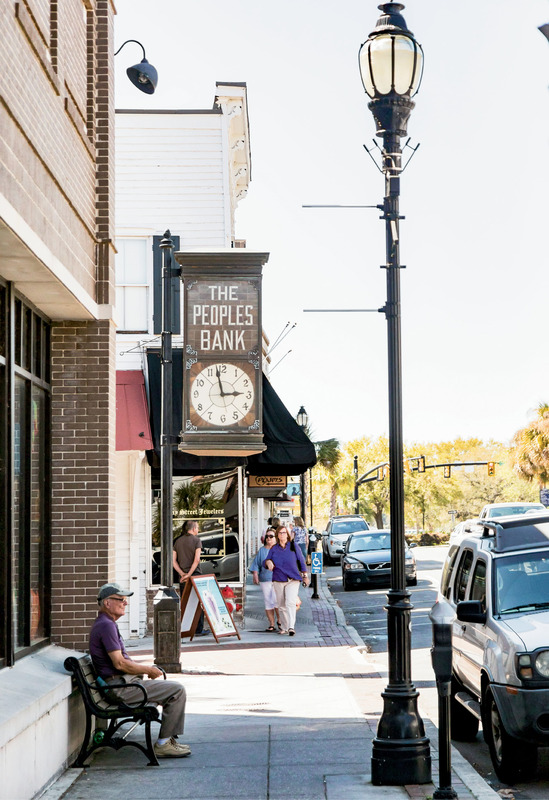 Downtown Beaufort itself is part of Port Royal Island. 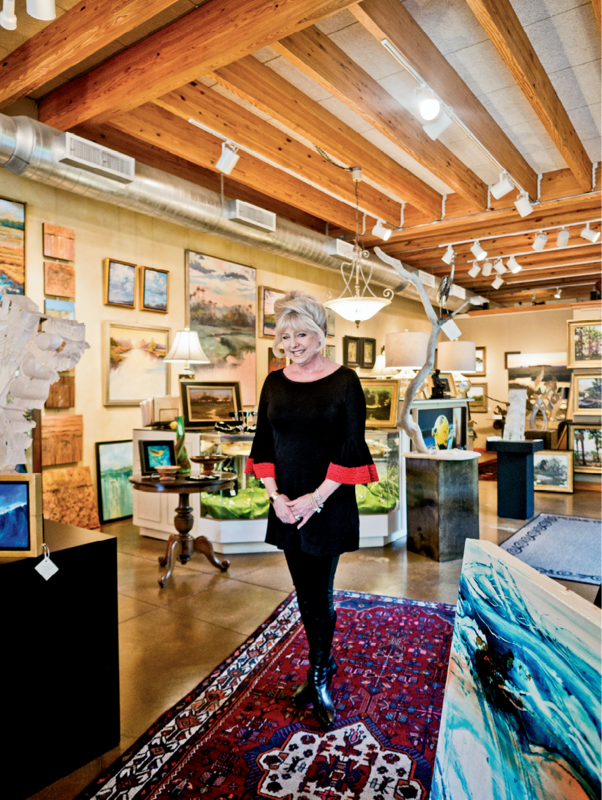 Although the Lesesnes had never operated an inn before, Amy says she told her husband, “I think we can make it something special.” To convert the manse for lodging, extensive renovations were needed. 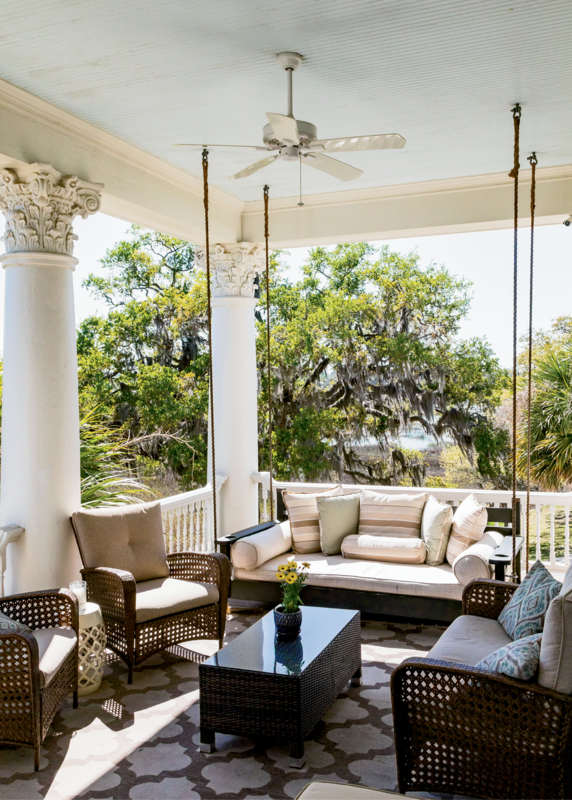 That included adding an elevator and outfitting the roof above the second-floor piazza so guests can use the third-floor porch as a cocktails spot and sun deck—a vantage point that’s taller than the oaks and palmetto trees on Bay Street and overlooks the water. 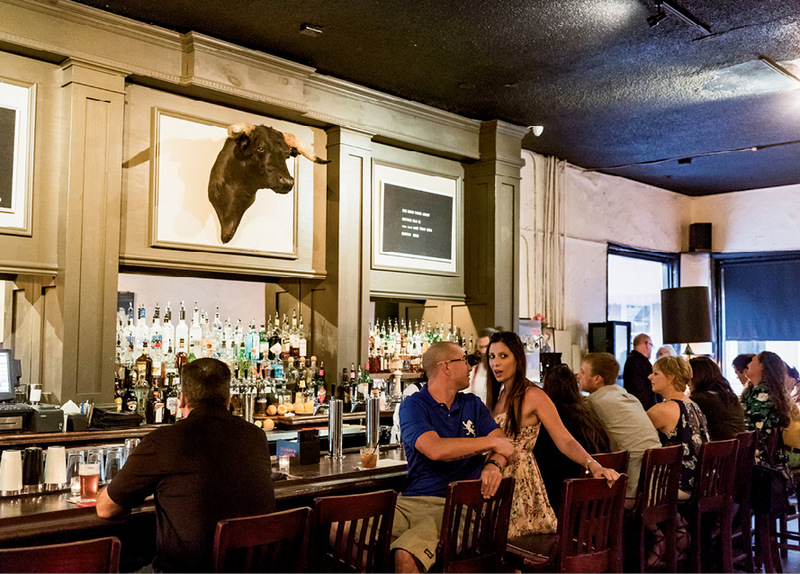 They also opened a restaurant, the Ribaut Social Club, helmed by chef Byron Landis. The original Ribaut Club was a men’s “cultural salon” that met in the house in the 1890s—purportedly to discuss books, but members were reputed to have thrown elaborate parties with dancers, a roulette wheel, and a bar. I walk through the drawing rooms and try to imagine the scene. 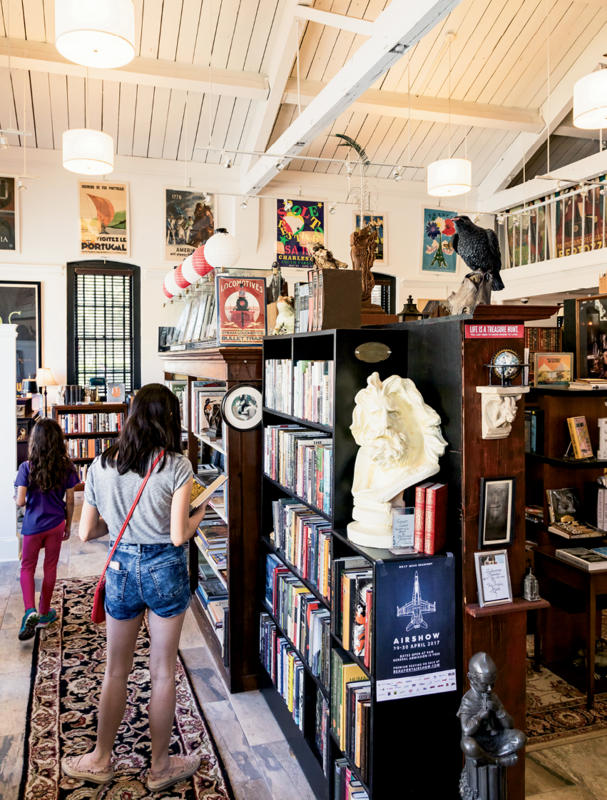 It’s a different Ribaut (and Elena) reference that we learn about a little farther down Bay Street at the new Santa Elena History Center when we join a guided tour with Dr. Andy Beall, who leads the organization’s board of directors. He describes how Beaufort is now claiming its very early French and Spanish colonial history in a bigger way. “Before Jamestown (1607), before Plymouth (1620), there was Santa Elena on Port Royal Sound,” is the nutshell story on brochures, touting the lesser-known rise and fall of European settlements near Beaufort in the 1500s. Inside the center, displays add depth and details and show how after France’s Jean Ribaut and his Huguenot soldiers had built and abandoned Charlesfort on Parris Island in 1562, Spanish forces led by Pedro Menendez took over. Attracted by the natural harbors and abundant wildlife, the Spanish entourage established the settlement of Santa Elena by 1566, and it survived for more than 20 years. As Dr. Beall describes it, the experience of Santa Elena may be more than 450 years old, but the story is a living thing, and more historic details and archaeological artifacts about the lives of hundreds of settlers who fished, hunted, and farmed these sea islands are still being discovered and understood. Spanish, therefore, was among the earliest European languages spoken in the Lowcountry, he notes, and “St. Helena Island” is the anglicized version of Santa Elena. Heads full of history, we go to a gathering at Lady’s Island Oyster Farm on McCalleys Creek, about 10 miles from downtown Beaufort. 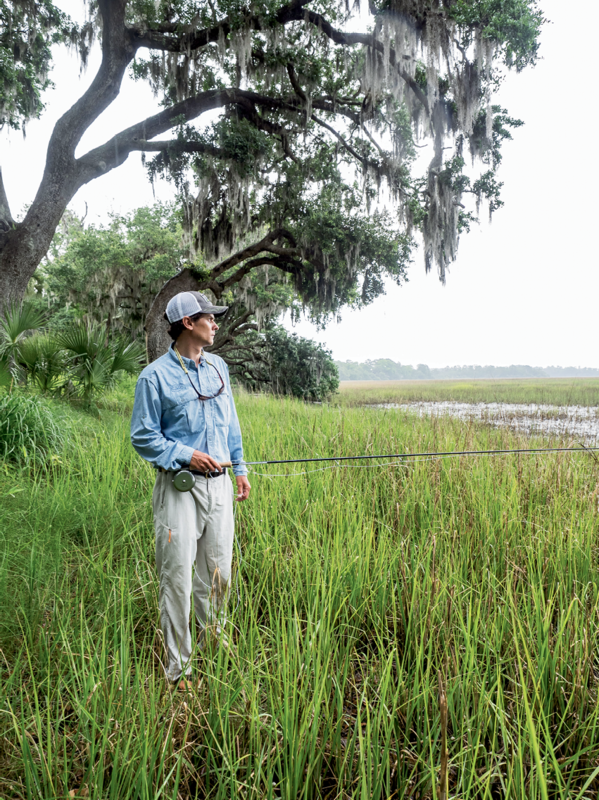 The saltwater creek connects to the Coosaw River, and it’s here that a former Marine named Frank Roberts, who trained on nearby Parris Island, is propagating oyster seed or “spat” by the millions to fill orders from the Carolinas to Virginia. Roberts shows us around the land side of the hatchery. 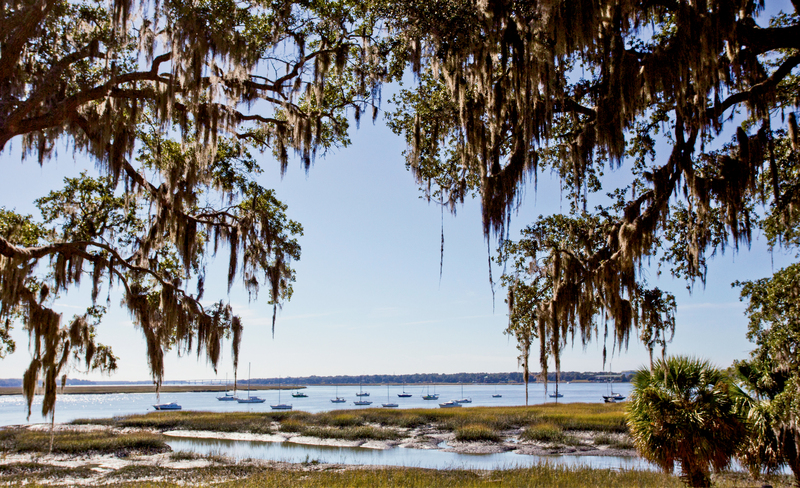 Under the shade of huge live oaks and tree-sized camellias are tubs of circulating saltwater and oysters that are so tiny they’re difficult to see at this early stage. 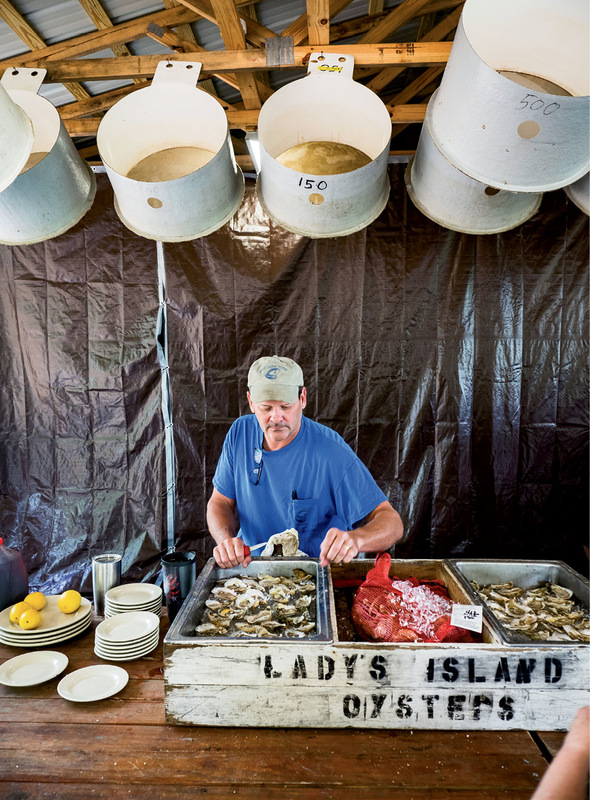 He explains that out on his 16-acre lease in the Coosaw and nearby tidal waters, he grows the spat into “Single Lady” oysters, famous for their salinity and clean sweetness from the wash of tides here. 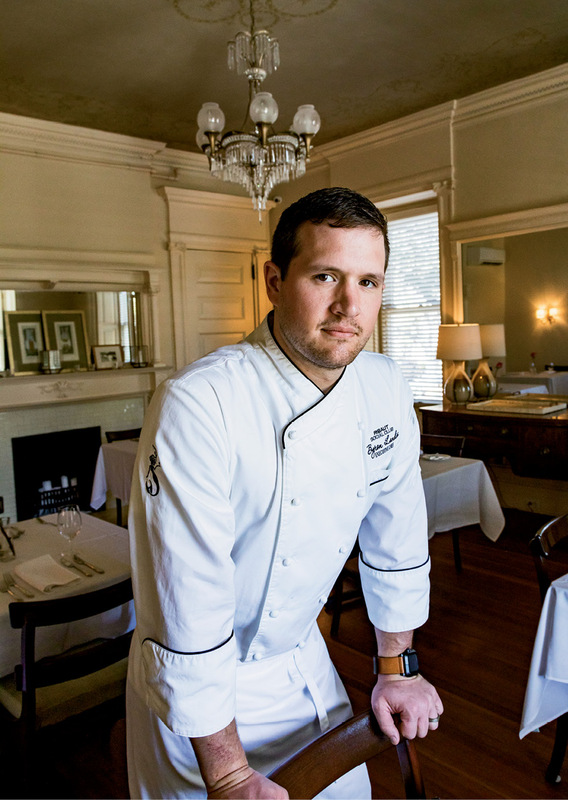 Soon, we all make our way to an outdoor kitchen and picnic shelter on the grounds, where he has some Single Lady oysters on ice and gets to shucking. Marshall’s menu at the Old Bull makes good use of the local bounty. 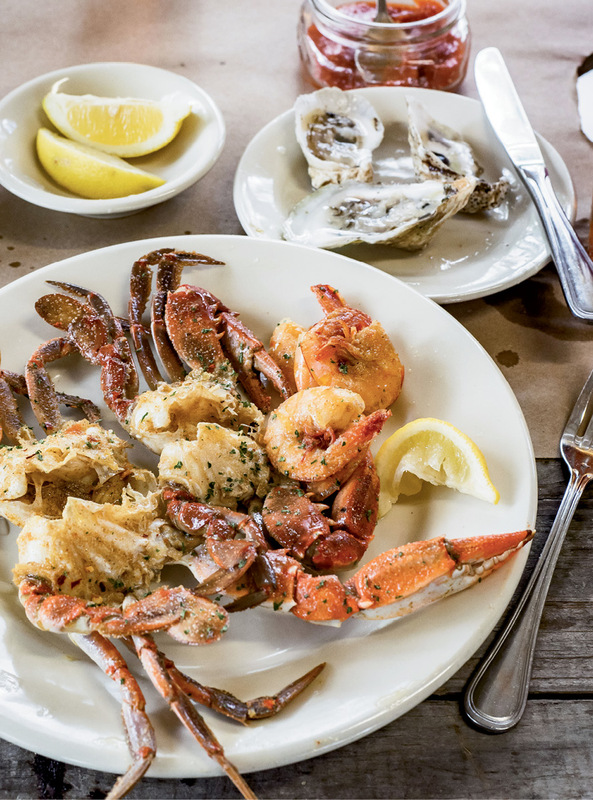 That includes offering Lady’s Island Oysters whenever available, along with dishes that showcase crabs, clams, and shrimp. And he’s known to load up the smoker with local mullet to make a special spread that’s served with Ritz crackers. Back under the oaks at the creek’s edge, Roberts talks again of this place where he lives and works, and he says he can’t believe his luck. The Lady’s Island Oyster Farm is at the western edge of the undeveloped ACE Basin, he notes, so the oysters benefit from the nursery effect of the ocean’s tides moving through hundreds of square miles of spartina grass. There it is again, the importance of the mud and marsh around Beaufort. 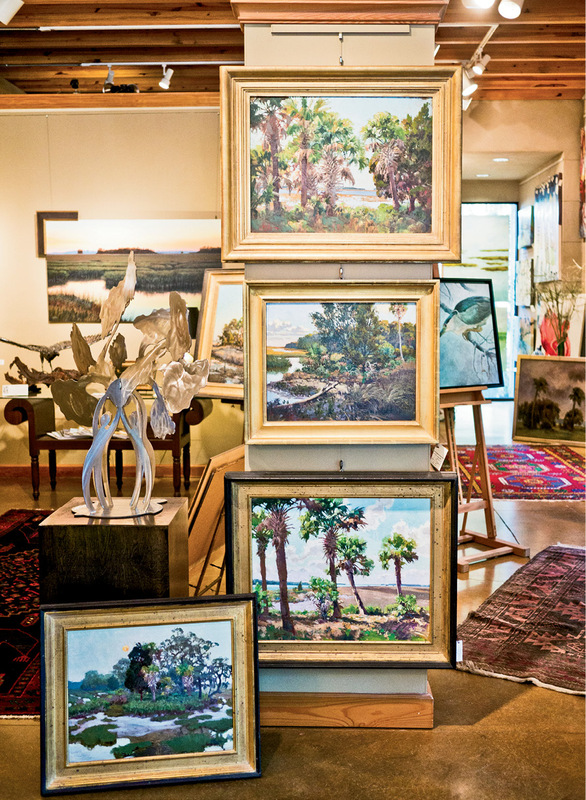 Meanwhile, back in town at the Thibault Gallery, one of Beaufort’s many water-inspired artists, Bill Mead, has hung another of his paintings of surreal scenes with Lowcountry backdrops. This one features an enormously oversized red tomato set squarely in the marsh—and, of course, amid a sea of spartina. Traveling by boat? 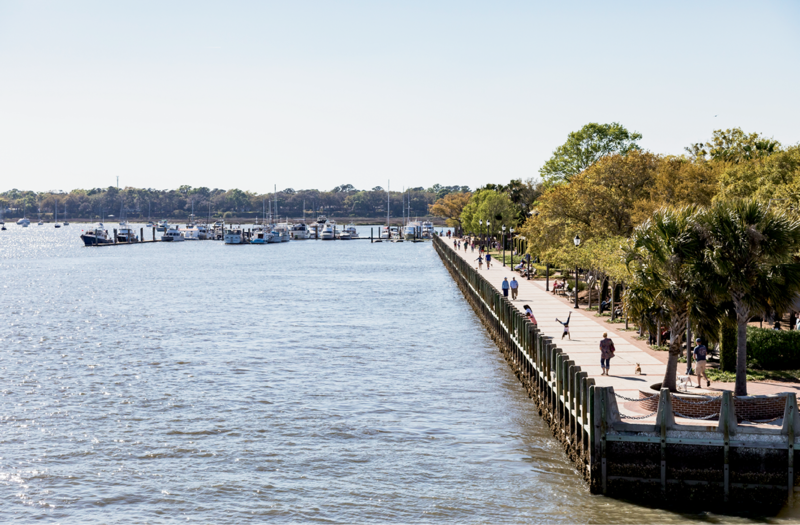 The Downtown Marina of Beaufort has boat moorings and floating docks, fuel, showers, and a store. 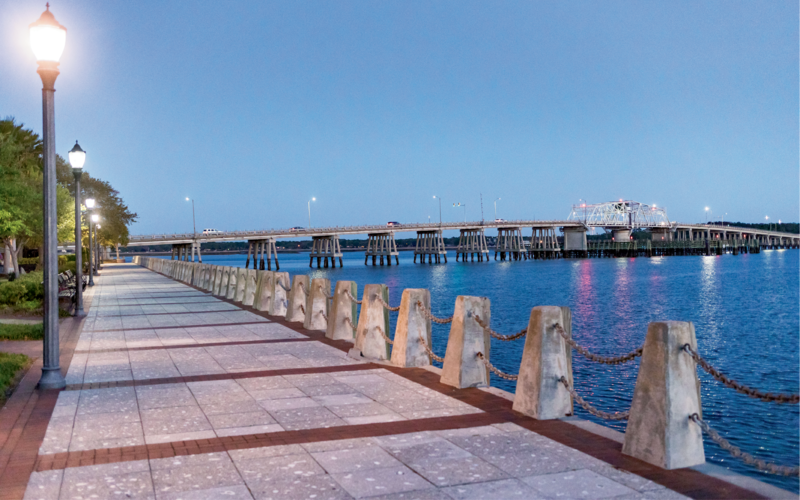 Dockside rate is $1.95 per foot per day.